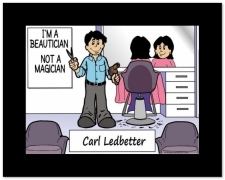 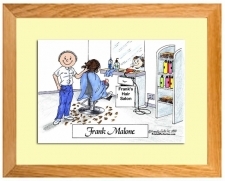 A good hair dresser is hard to find - Celebrate his work with a personalized gift! 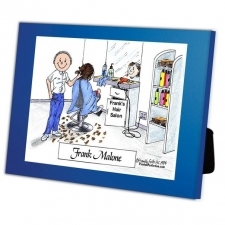 Show him that you appreciate his great service! 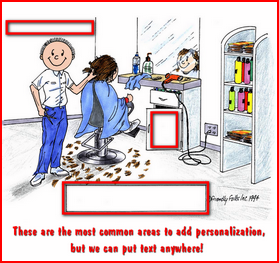 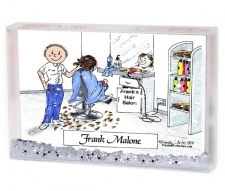 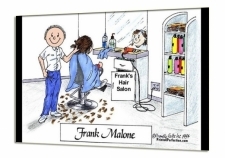 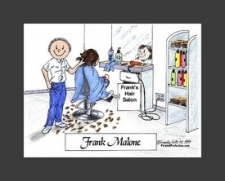 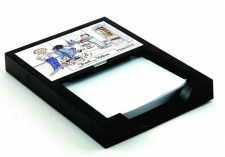 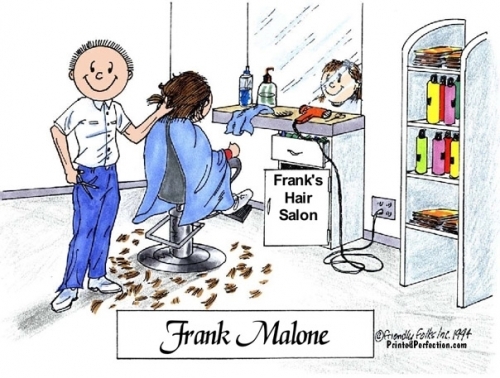 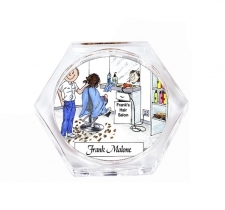 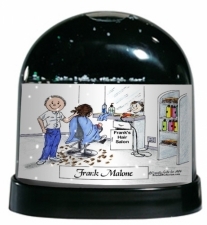 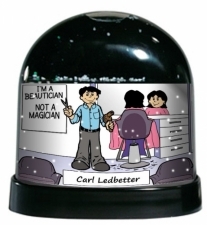 This personalized caricature gift for the hair stylist in your life will be a perfect fit! 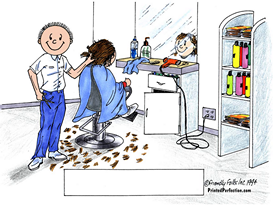 *Hair style can only be changed on the stylist, not the client.